A year can bring about a lot of change whether you are wanting it or not. I’m the sort of person or I would like to think that I am the type that welcomes transformation because it shows progress. In the March of 2017, I was diagnosed with Type 2 Diabetes. I was not really shocked by the diagnosis because it runs on both sides of my family. Exercise was not part of my daily routine. My mother never exercised and my father was very fit when he was in the army but with retirement the motivation to exercise was none existant. The most exercise he got was doing yard work and gardening. My major in health and leisure has helped me learn more about exercise as well. About the time I was diagnosed I was actually taking Leisure 110 which focused on Physiology and Health Psychology so I learned quite a bit about Type 2 Diabetes. I learned that exercise has good benefits for a person with diabetes because it helps promote the body’s uptake of insulin. Another good thing about exercise is that it can have a positive effect on your sense of wellbeing. I am hoping that I will lose enough weight that I will be able to be taken off metformin and control my diagnosis just by diet and exercise. I sometimes get discouraged because the weight is not coming off fast. When I catch myself thinking negatively, I remind myself that it has taken me years to get to this weight and it will take years to get the weight off. I am looking at my diet and exercise regime as a lifestyle change instead of a quick fix. This is taken me a while to get my head around but I do feel much better about myself. I have never been a tiny person. I am not sure I will ever get to be a size 10 but if I can feel better about myself than that is what is most important. I used to hate exercise but now that I am becoming more fit I am actually looking forward to taking Adam to Judo so that I can workout at the gym. We also try to walk everyday. Adam has bought me a Fitbit for an early birthday present and I find that I am liking it and watching my progression gleefully. I have only had it for less than two weeks. My transformation into a fit Dianna is not complete but I am making slow and steady progress. When I was first diagnosed I was 111 kilograms. This week I weighed in at 94.2 kilograms. The weight is not flying off but I am not gaining either. When I first started at the gym, I would go on the treadmill and walk for 30 minutes. The distance walked was 1.6 km with an inclination of 4 degrees. I now walk/run for 30 minutes with an inclination of 6 degrees. The distance after the 30 minutes is usually around 2.5 km. I used to dread going to the gym and now I am looking forward to going to the gym and trying to beat my time. Adam would always be after me to go out the door for a walk on a lovely day. Now it’s almost like we agree to go out and move. He doesn’t have to drag me out the door. I think my success is that I am doing it for myself. I am not trying to please anyone else and I have a great support team behind me. I am seeing my progress and feel happy that I am doing something which I feel is for the betterment not only of myself but for those who love me dearly. If I stumble, I just get back up and resolve to do better. I am not going to let a little set back take me off my track. Transformation is a good thing. In order for me to transform myself, I have to be willing to make the change as well embrace the change I want to be. I will blog again to keep track of my progress. I hope you watch this space even though I have not been writing much. I hope to write again soon. I was driving Adam and I home from our training in Coffs Harbour when I took the turn off for Woolgoolga and noticed the name change to the road we take to get us home. It’s called Solitary Island Way. This gave me an aha moment which I wanted to share with you today. Today we heard a lot of things at training however I am not really wanting to share all the pearls of wisdom that I heard there because I am still processing everything in my own sort of way. Please bare with me as I muddle through my thoughts to express exactly what my aha moment sprang from. I am always searching inside myself wanting to improve things not only for myself but for those who are in my life. I was just driving when I thought about how sometimes we all feel like we are alone but in actuality we are all connected. 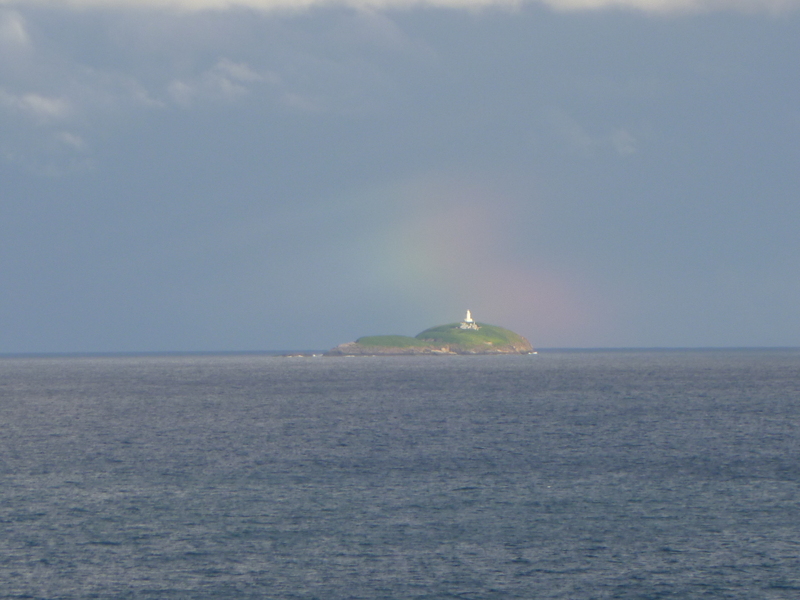 The Solitary Islands are on the eastern coast of Australia. 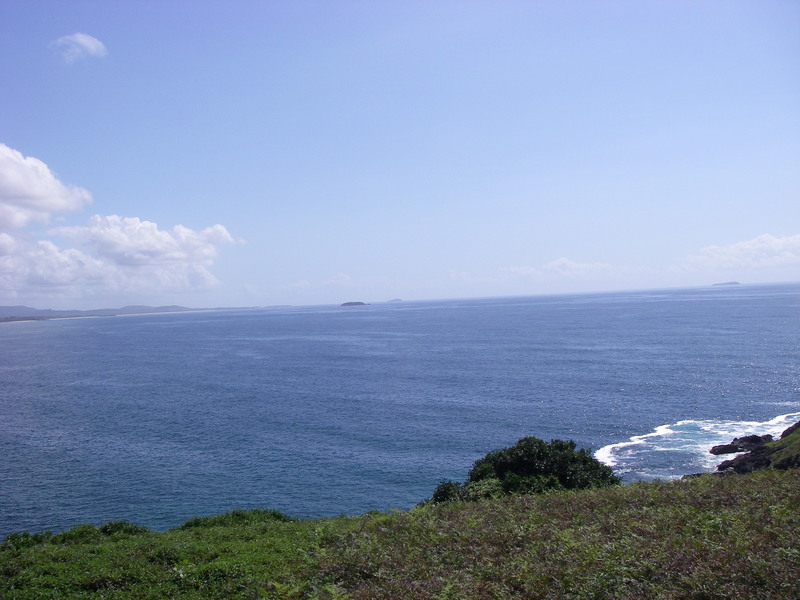 The Coffs Coast which is part of the Mid North Coast of New South Wales is also part of the Solitary Marine Park. You can see these islands dotting up and down the coast of the area where I live. I was thinking to myself today how alone I could feel about my life if I let myself fall into that trap but I have to take a look at the bigger picture. Things are not so black and white. We are only as alone as we make ourselves. If we reach out to others our sense of loneliness diminishes. We just have to watch our attitude because that is a key to impacting on others. If we have a can do attitude we will be able to do whatever we put our mind to. If we get in a rut and are happy to wallow in mediocrity, mediocrity is what we will sow. I always love going to Muttonbird Island because I always see things in a different perspective. I am very blessed to live so close to Solitary Marine Park. I live in a country for the most part that values its environment. Australia isn’t perfect but I find that I am very blessed to call it home. I can choose to live a solitary life or I can choose to share what abundance I have been given be it a kind word or positive thought to someone I come across. The Solitary Island Way may seem alone but it is part of a wonderful environment which impacts on every living thing it touches. Even a rock or grain of sand can make a difference to the world that it is in. Take a part of it away and it could impact something or someone else in a negative way. May you find the blessing of another day and never feel alone. There is someone out there who needs to hear from you. You can be the difference to brighten someone’s day! Be the rainbow and light the way to a better day!